What time it is . . . in hell. 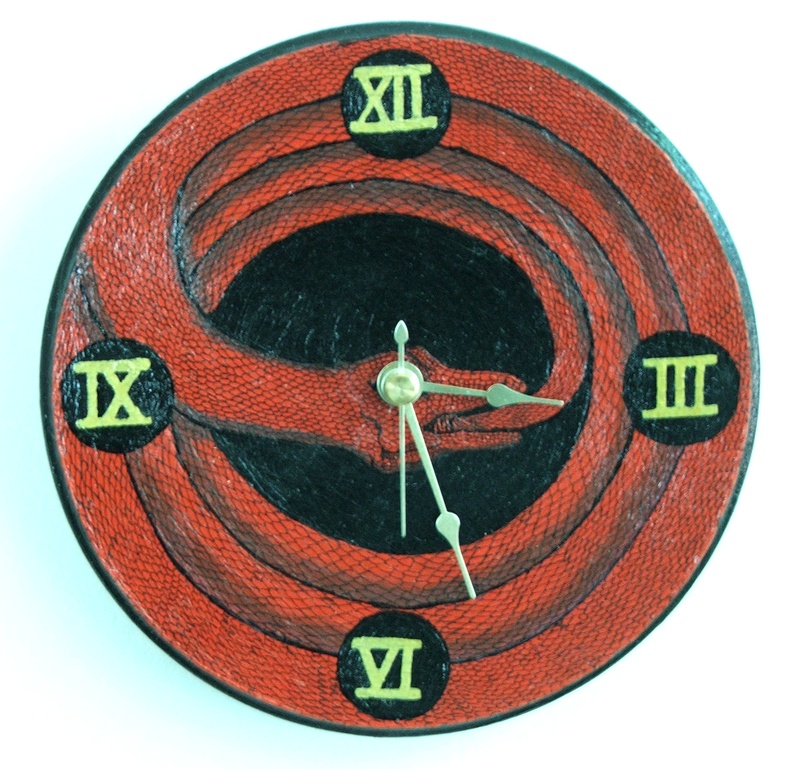 I made an Ouroboros-inspired clock for last weekend’s Constructor Craft Fair. I didn’t end up putting it out for sale, because while I was satisfied with the painting, the clock mechanism was a hair too short for me to properly lock it into the face, which made it a bit loose. I decided to put it up in my workspace instead. For anyone who is curious, two of the new hybrid animals I had on display at Constructor are now posted on my Etsy store: the Tarsnail and the Seacock. 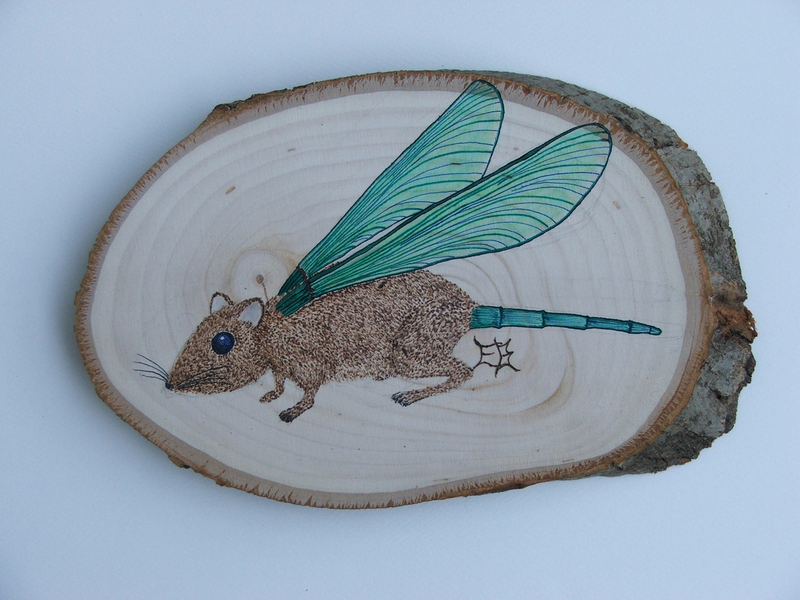 I’ll be posting the Mousegonfly and a couple of other new pieces later on this week. I’ve returned to the Hybrid series, officially titled “Creatures of the Arbortarium” (that’s an imaginary word, not a mispelling-an asylum for mad trees) for one last time. While, I notice that my art has often had some kind of hybrid creature lurking in the foreground or background, I would like to get away from these plaques in favor of some other ideas that I’ve been itching to explore. 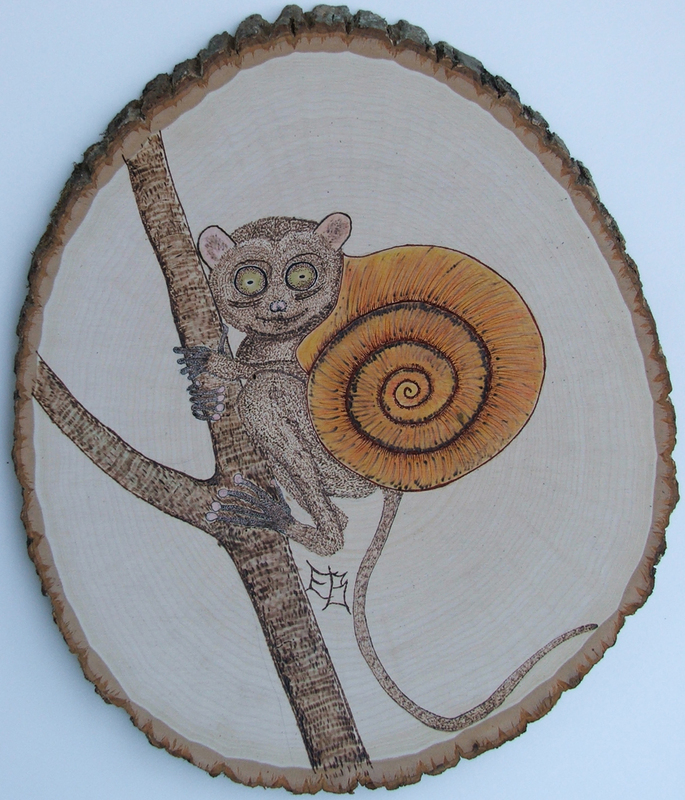 One major difference between the current animals and my previous ones is that, rather than just working with pen and ink and watercolor pencil, I’ve begun burning the animals with a rudimentary woodburning pen. Here’s a couple I have so far. 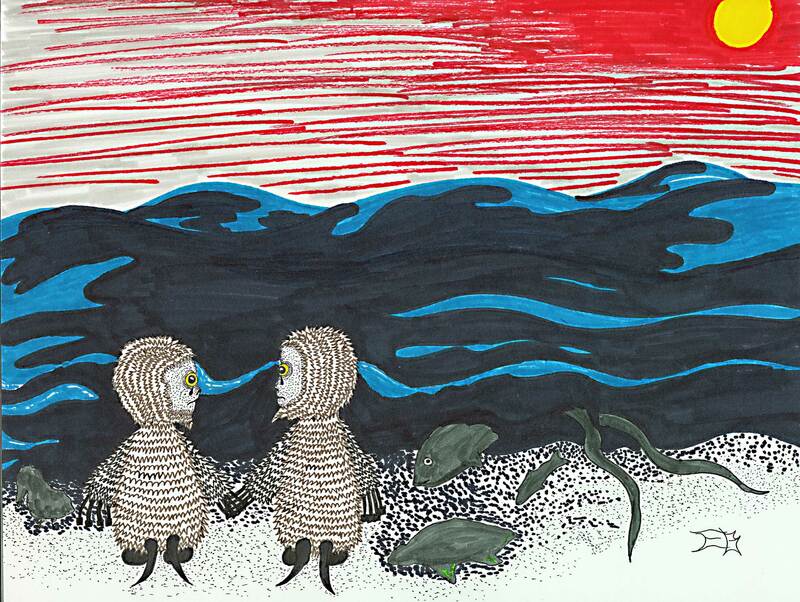 You are currently browsing the Old Scratch Art blog archives for June, 2010.